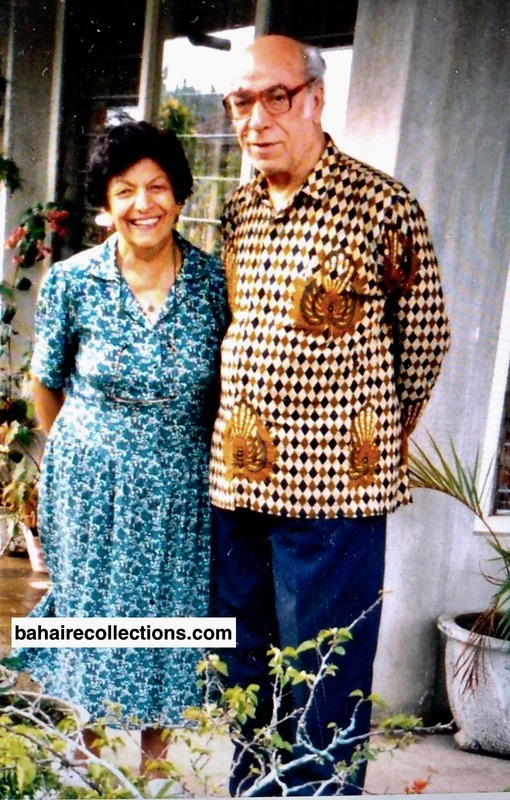 I am grateful for your selfless efforts to document, and put on the record, the lives and services of the true disciples of Bahá’u’lláh, such as Saba and Ravi. The story of their lives and services will inspire generations of Bahá’ís. I am so privileged to personally know some of these precious souls. They are always in my prayers. So heartwarming to read uncle Ravi’s life history. I remember for 20 years I had the bounty to serve and be with him in Subang Jaya. There are many qualities that could be discerned on his face alone. Humility and sincere love are the obvious, which many will agree. Even strangers can feel these qualities. In our many activities, we met many friends and strangers. These strangers have told me how they were attracted to him in a short time, and reminded me to bring him along in the subsequent visits. When he was appointed as Auxiliary Board Member, I was very happy for him and called to wish him. In his usual trademark of utter humbleness, he told me that he did not deserve the appointment but asked me to pray for him to serve well. 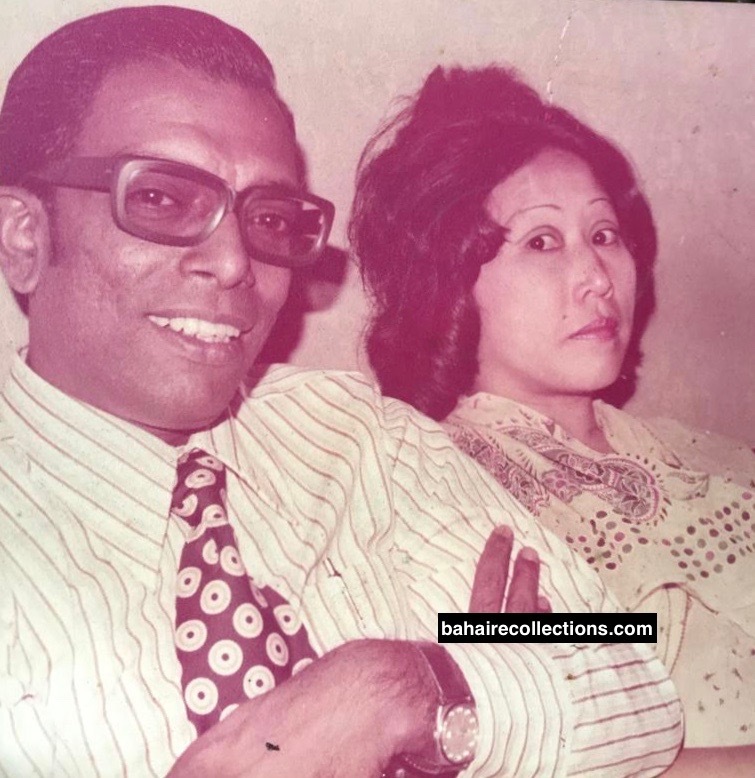 He worked tirelessly to establish training institutes not only in Subang Jaya but several parts of the country. It was a big challenge at those initial stages. As mentioned in the story, teaching had been his dominating passion. For me, the most precious time I spent in Subang Jaya was when he alone, drove to our home on countless nights. However tired or weak I was, a mere look at his face was sufficient to rejuvenate myself. During many of our street teaching at night in Puchong area my eldest Shamir Das who was mere 3 years old used to walk with us. On many of these trips, he was on the shoulder of uncle Ravi. Today my son is actively serving. He still remembers getting a ride on his shoulders and mentioned that those priceless moments with uncle had been his inspiration. My wife Rajes loves him. She knows well the food that uncle liked. When we heard of his passing in the morning, she was crying in the closed room the whole day. 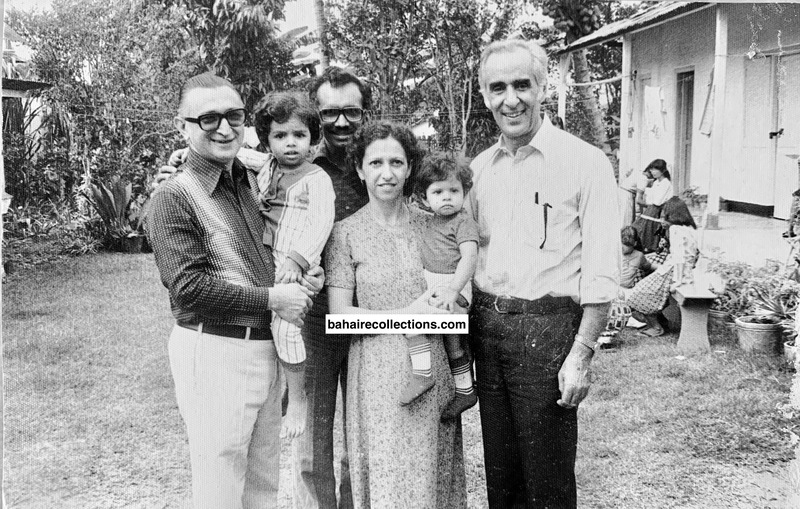 Apart from being a mentor he was a father to me and Rajes. We always felt his presence when we went to the field. We always sought his assistance when we went for teaching trips. We often visited his resting place and prayed for him. Maureen and I went through your story on Ravichandran. Nostalgic to travel down the memory lane. Your recollection on Ravichandran is accurate and well written. You also managed to capture his exemplary life, spirit, loving nature, humility and sacrifice- his very essence. I just read the moving story on Ravi in full with so much details and important events in his life. Thank you for doing it so well. Oh Ravi, blessed be his soul! What a special person, what a pure soul, mature, wise, spiritual and yet practical. I know Ravi before he married Nargis Jan. I was fortunate to go with him and a few other youth to visit friends and hold firesides. 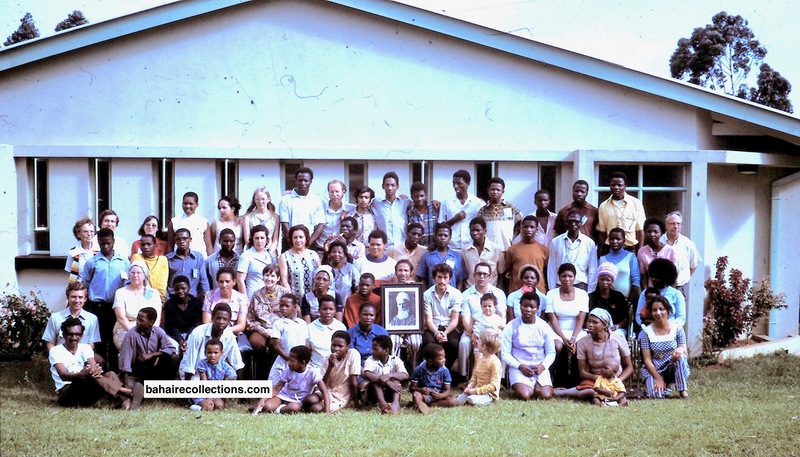 But the greatest fun and joy we had was during the Oceanic Conference in Singapore in January 1971. Just prior to the Conference we went out in teams for proclamation and some teaching in various parts of Singapore, and in the evenings we sat on the open-air food-stalls, ate, joked, exchanged stories and had great time. 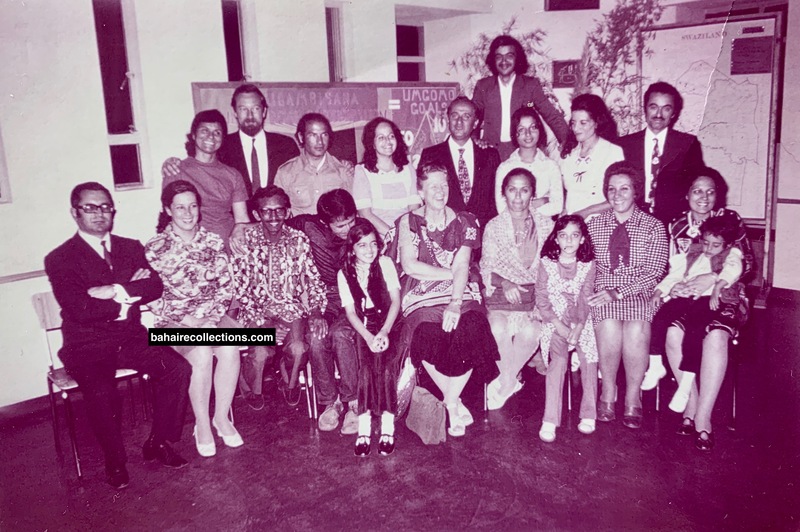 Among these youths were the Astanis, the Sorayas, Ravi, Yin Hong Shuen , Satanam, Silan, Choo Yoke Boon, Hansen, two American youth and a few others. We occupied three or four tables, akin to a mini conference. On one evening before the Conference a group of us went to the front desk of the hotel where Hand of the Cause Mr. Enoch Olinga stayed and said we needed to see him. He welcomed us and we met at the corner of the hotel lobby. He asked about how our proclamation activities were going on. We replied they were going well in most places although some teams experienced small challenges. In most cases peopled asked about the purpose and about the participants in the conference. Mr Olinga mentioned that those teaching experiences would prepare us for international services through pioneering to other countries. We realized that he was making a point of preparing us to think about and becoming ready for international pioneering. He mentioned that countries such as India, Africa and in many other countries in Asia and South America people are thirsty and curious to hear and learn new ideas and they can, step by step, become attracted to the teachings of the Faith. I stayed with Ravi and a number of other Malaysian friends in the same guesthouse and sometimes our late night discussions went late throughout the night. Let us all march forward together nonstop following the footsteps of those lion-hearted heroes and heroines that have made history. Mani, a beautiful account of dear Ravi. You have written well of him. May Baha’u’llah give you more power and inspiration to continue writing on dedicated souls who have passed beyond. Thanks Mani. A Beautiful article indeed. Because of my high admiration and love for a beautiful soul like brother Ravi’s i read in full your well written recollection of Ravi. Ravi is a hard act to emulate. His sincerity, his humility, his single-minded dedication to serve our Beloved Faith till the last hours of his life on earth was beyond exemplary. Well done Mani. Keep up the great work that you are so good at. Ravi lived a pure life. I have met him few decades ago at a few Bahai functions in Ipoh were I reside. All of us were very fond of his style of the way he mingled and spoke in a very gentle and loving manner. That attracted us much. His gentle, kind and humble mannerisms added with utter humility was so obvious in him. I met his eldest daughter Nosrat for the first time a couple of years back in Kuala Lumpur at a Bahai occasion. She too shined as a humble, kind, friendly, loving, and helpful soul -just like her father. Ravi and Nargis need to be commended for molding her with all the Bahai virtues and attributes. May the loving beloved soul of Ravichandran be at eternal peace in the presence of Bahaullah. It was so wonderfully nostalgic and yet chocking to read about my dear friend who has left for a better place where he should be enjoying the fruits of his labor for the Cause. I would like to relate a lighter part of this serious believer. 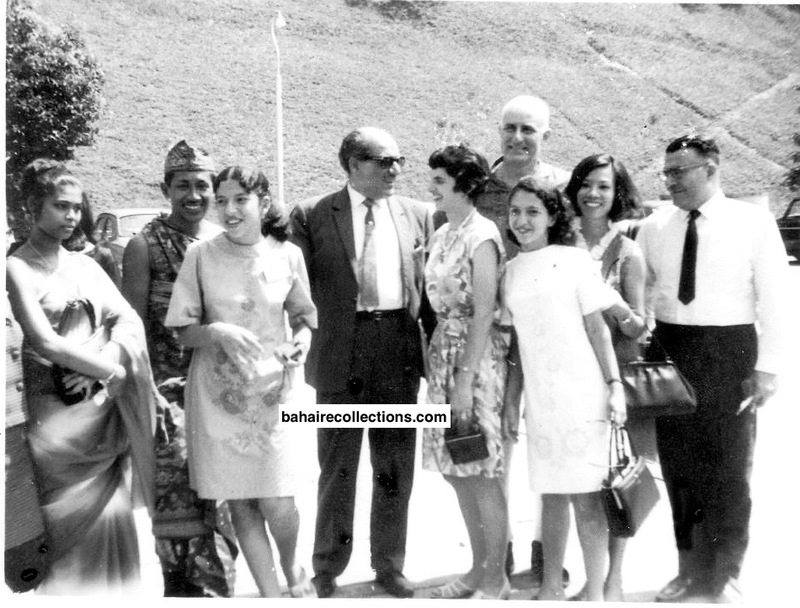 At the summer school of 1971 held in the coastal town of Port Dickson, the late S. Satnam and a few others decided to go fishing. The idea was to catch enough fish to feed the participants at the Summer School that was going on. So late in the night, Satnam, Upendra Ravi (the other Ravi whom Manisegaran has mentioned ) Ravi and I went out to the sea. Ravi had his Mini Cooper car and we all piled into it and went to the sea side. Satnam’s friend had procured a drag net. We ate durians and then stripped to our boxers and waded, waist-deep into the sea. After a couple of tries we netted a really big stingray! It was really BIG! After dragging it ashore, we loaded it into Ravi’s Mini. It was so big that Ravi’s Mini Cooper could not take the rest of us as well back to the Summer School venue. So it was decided that Rav should drive with the Ray fish back to the Summer School and he was supposed to return to take us back. Ravi went with the fish alright. But he just forgot to come back to fetch us. Our clothes and wallets were in the Mini Cooper. They were gone too. We waited in vain, in our boxer shorts for hours. He still did not come. Suddenly it rained heavily. We went and sat neck-deep in the water as the water was warmer. Still no sign of Ravi. As dawn was beginning to break, we decided to walk back to the town, bare footed and bare-chested! I still vividly remember the look on Mrs. Satnam’s face when she opened the door to our knocks! We were curious to know why Ravi did not come. We learnt that Ravi went and had a bath and then fell asleep, simply oblivious to our predicament at sea! But the only consolation was that the sting ray fish was enough to feed all participants at the Summer School. Thank you Mani for doing such a great job of writing about the early believers in Malaysia. On a personal note, it was fortunate that I had the opportunity to get to know so many of them. More so with Ravi as we were classmates in Mechanical Engineering in Technical College in the mid-60’s. Ravi accepted the Faith while still in college with a group of God-intoxicated students from the teaching activities of Choo Yoke Boon. I only accepted the Faith after TC when I started working. 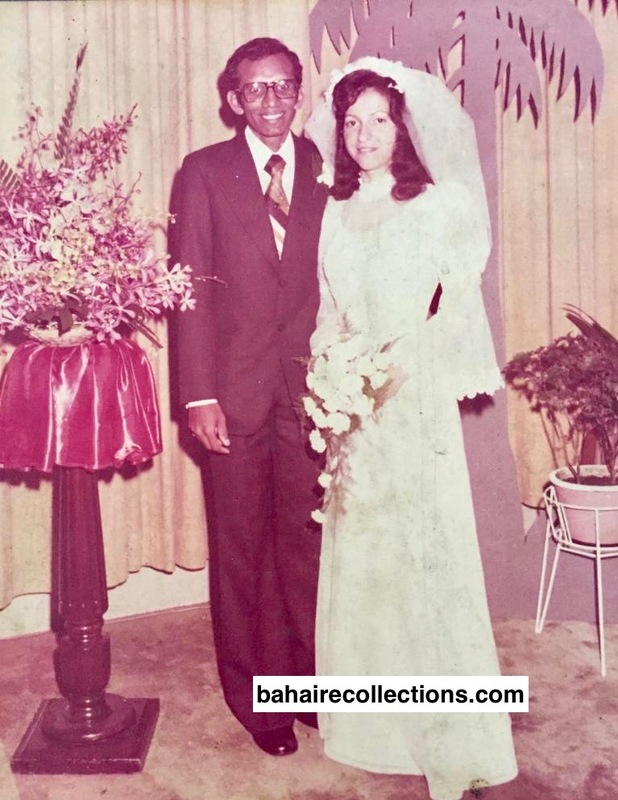 My bond with Ravi was unique and special….I look into his eyes and I can sense the deep spirituality and humility. Oh how I love and missed him, and over the years although we moved into different areas and countries of service, we kept abreast of each other’s activities. 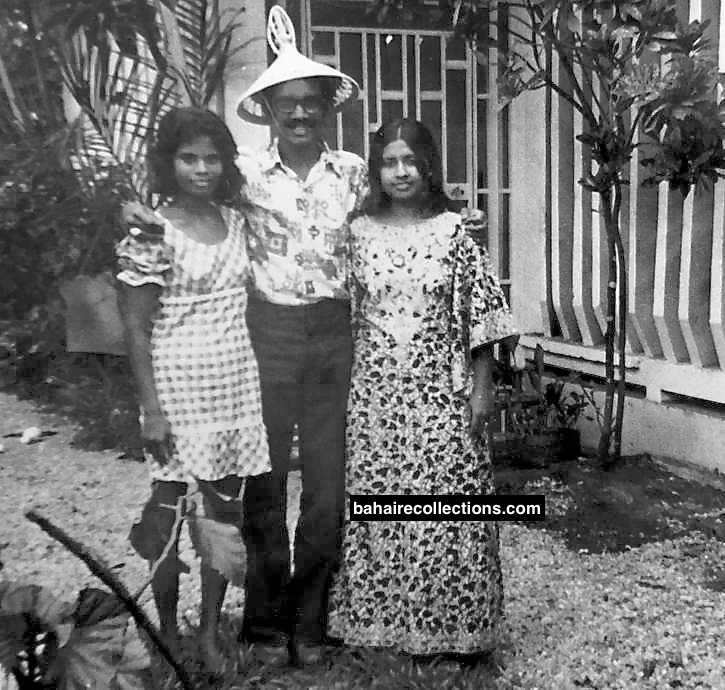 I stayed at his home once in Petaling Jaya and again met him and wife when they came to Singapore. My dear brother and colleague…..you have earned eternal rest in the Abha Kingdom. Very lovely heart rending story of our late beloved Mr Ravi. He has lived to a very rich great Baha’i life. He has been a good of inspiration for all of us. From the moment he accepted the Faith and until his last breath. Such a pure and divine soul sure shall be closest to all the saintly souls of the Abha Kingdom. Thanks was lovely true story that kindled my heart. I had joined him for a teaching trip to Tanjung Malim to gather with Selvanathan and Venukavi in 2011. Was a very interesting trip we encountered in his midst. Visited his very Chinese friend in Tanjung Malim at his orchard. Had a good durian feast there. We can learn a lot from his teaching efforts and experiences. You are rendering highly valuable services for the preservation of the history of the Faith. For people like me, who accepted the Faith after 1980 in Malaysia, your stories are opening a new outlook into Malaysian Bahá’í history. Your writings on many early Malaysian valiant servants of the Blessed Beauty, have created not only tremendous but lasting impact on me. We all need standard-bearers in our Bahai life, and you are listing them one by one. These are the unsung heroes who have taught us what is the hallmark of service. 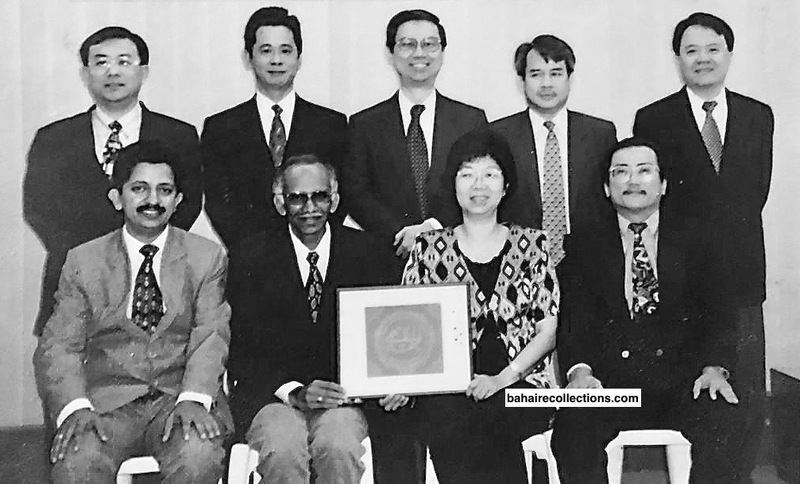 I really admire and appreciate these servants of Bahá’u’lláh that have contributed so much in the history of the growth in Malaysia and abroad. I have met Mr. Ravichandran at a few national level meetings and observed him to be very humble and pure. I did not know him personally and never knew he has been a pioneer to Africa and fulfilling the goal of the Nine Year Plan. I am so touched by the services that Mr. Ravichandran has rendered in the growth of the Faith in Malaysia. For me Mr.Ravichandran means an embodiment of service and utter humility. 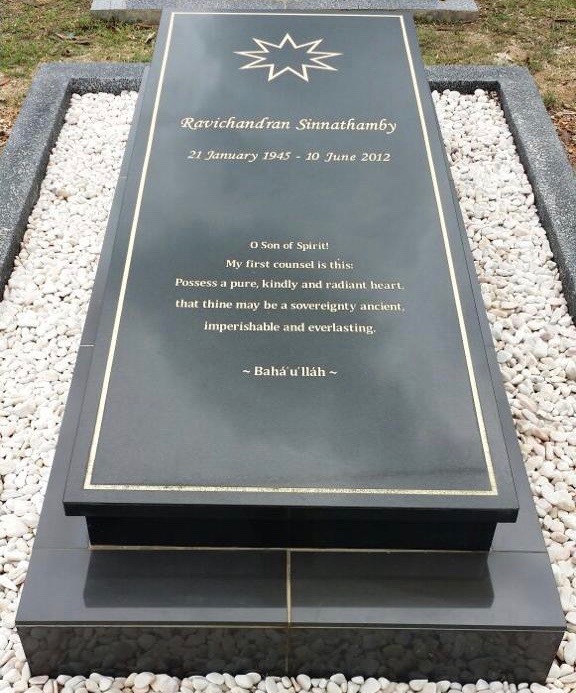 I love the very last caption below the photo of Ravi’s resting place, “Here lies one who possessed a pure, kindly and radiant heart.” That one sentence is an indication of your creative writing skill. May Baha’u’llah grant you long life and health to write more and more inspiring stories to inspire the current generation and generations still unborn. Thank you again for your time in writing about early believers. All I can say is tears that flow in his memory and his personage. Thank you for giving the Bahá’í world yet another remarkable write-up, this time about uncle Ravi. “Here lies one who possessed a pure, kindly and radiant heart”, what a befitting concluding line for our beloved uncle Ravi – who was truly the embodiment of humility, love and unity. My wife and I met uncle Ravi back in Phnom Penh, Cambodia around 2005 – when he was assisting Phnom Penh community with the Ruhi classes. He was a great tutor, extremely resourceful, an effective communicator and a loving Bahá’í friend. He was easily approachable and would take time to respond to everyone’s question patiently. Whenever he found disagreement with people during the session, he would always refer to the Writings and ask us to obey the institutions without question. Both my wife and myself have benefited a lot from his professional and spiritual guidance; as he used to put up at our place whenever he was in town. It was a real blessing to have him staying with us. We liked to spend our nights discussing about the progress of the Faith and the four core activities. He lovingly called me ‘Appu’ and loved our children Afshin and Abha. 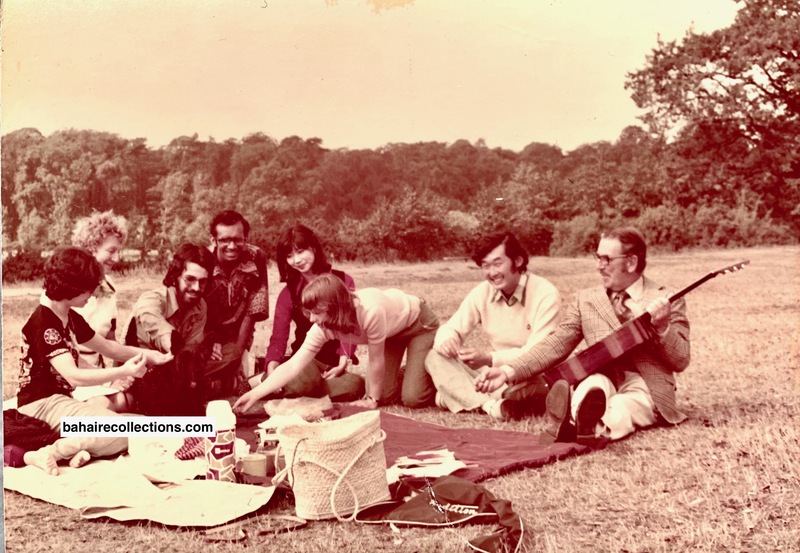 He enjoyed Indian cuisine especially curry, sambal and spicy Indian soup ‘rasam’. 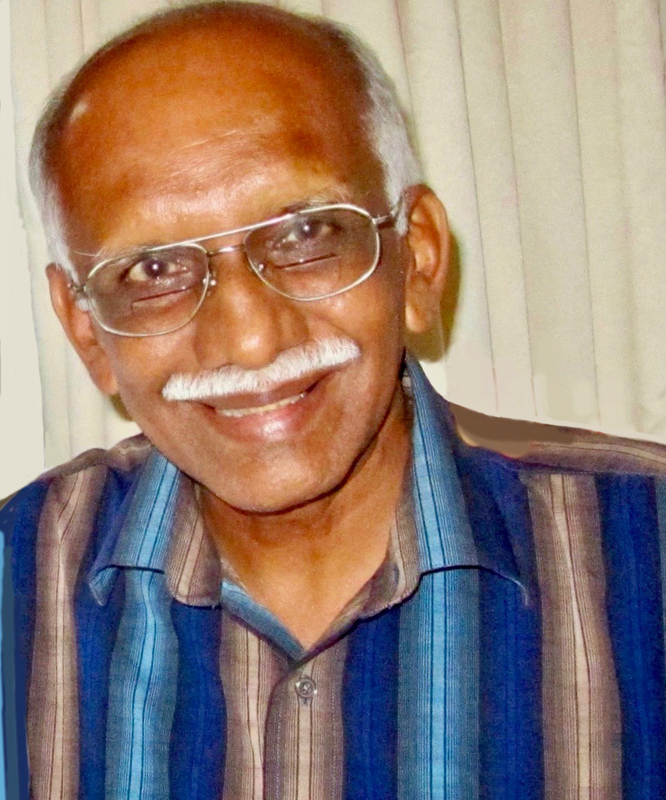 Once I called him “MGR” Mahatma Gandhi Ravi — to which he burst out laughing aloud and continued laughing. He said he used to get those. kinds of nicknames very often. He was a very peaceful person, but could also be serious when comes to teaching the Faith. A humble soul that touched and humbled so many other souls including us. May his radiant soul be blessed and nurtured in the heavenly realm. Allah’u’Abha! As always you have given such a good account of our much loved Ravi. Very comprehensive and inspiring. I will always remember Ravi’s persistence in completing what he sets out to do. 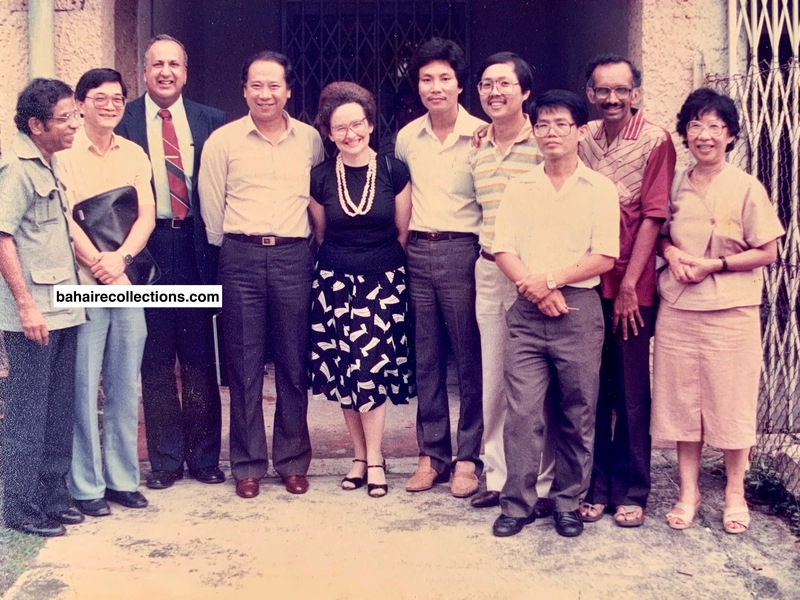 For instance, when was secretary of the Local Spiritual Assembly of Petaling Jaya we were all staying at the home of Gina and Leong Ho Chew. I used to see Ravi struggling away after a hard day’s work to complete the minutes of the Local Spiritual Assembly. Being an engineer he was not the writing sort, and I could see him nodding off in between writing a few lines! Of course he completed his job. 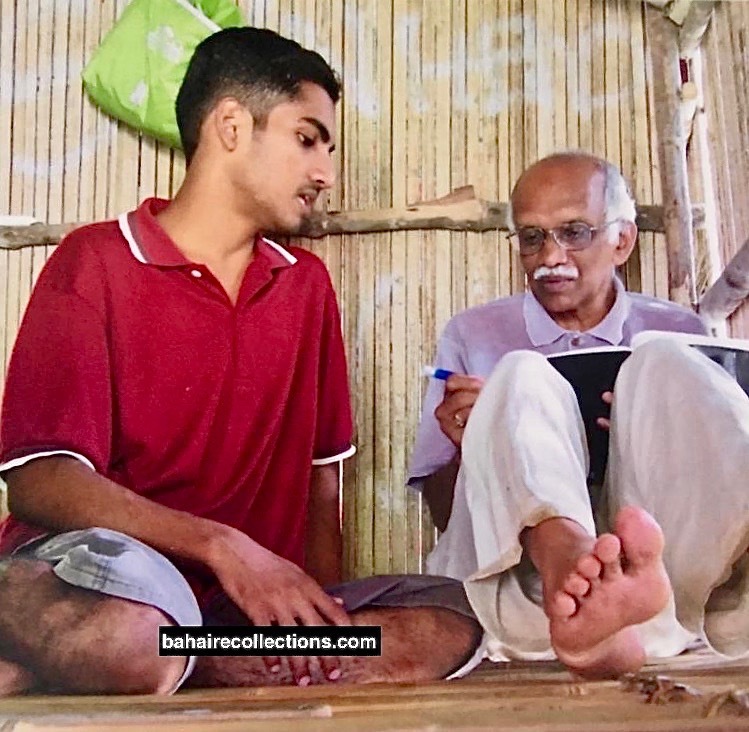 Ravi not only had courage to pioneer and travel teach, he was always smiling and radiant and he followed through with what he always set out to do. 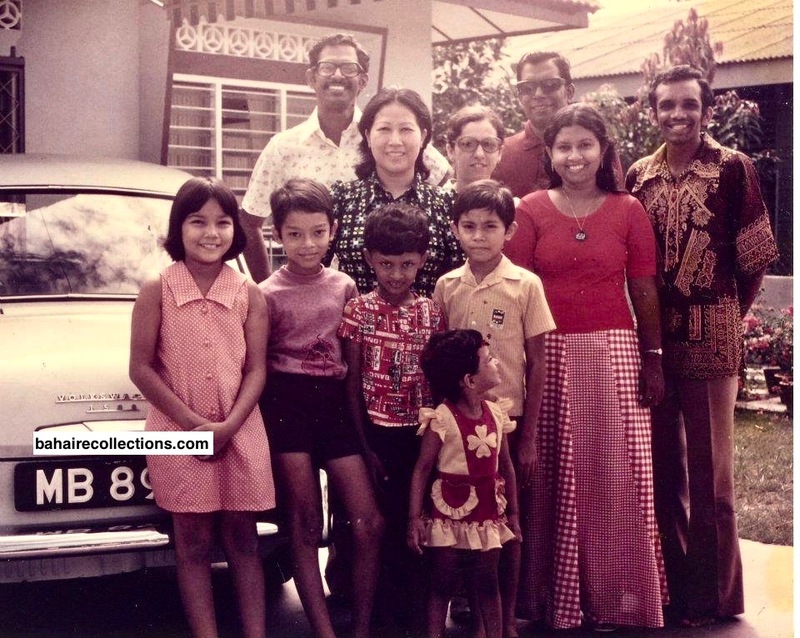 Another thing I remember about Ravi was that after the Oceanic Conference held in Singapore in January 1971, we were in his Mini Cooper driving through the rain at night rushing back to Kuala Lumpur. Ravi was so tired and we nearly had an accident with a truck! Despite the rain, he was speeding away like a F1 rally driver! I always poked fun at him saying that our mild gentle “Ghandiji” who never hurt a fly could be transformed behind the wheel! We were actually very worried at one stage when we knew that he was pursuing Nargis. 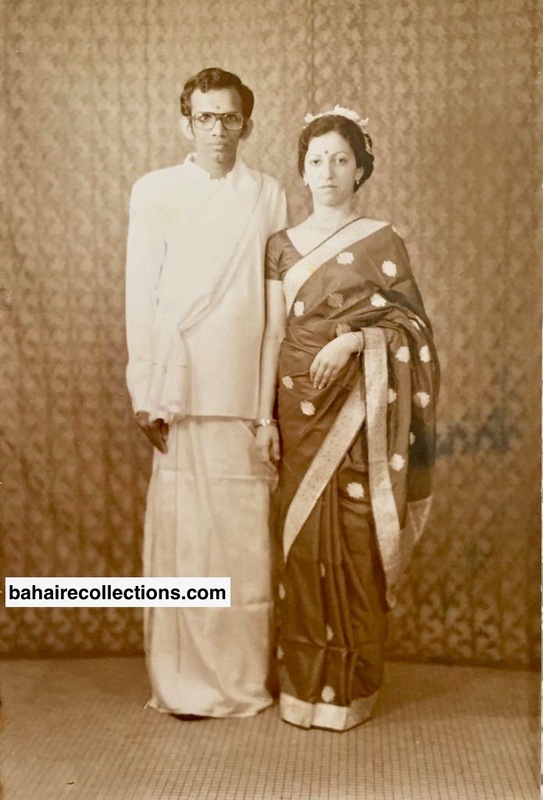 Knowing his Ceylonese Tamil background and the strong culture of marrying within their own community, we were quite sure it was going to be Ravi’s greatest test. Well, as usual he passed the test and both of them now have such beautiful and wonderful children so dedicated to the service of the Abha Beauty. Ya Baha’ul’Abha! Pray for us dear Ravi so we can be better servants and have better results! Great article on uncle Ravi’s lifetime of service. Guess all will agree that he was s a great servant of the Cause- humble, dedicated, caring, full of compassion in the path of service in many capacities. 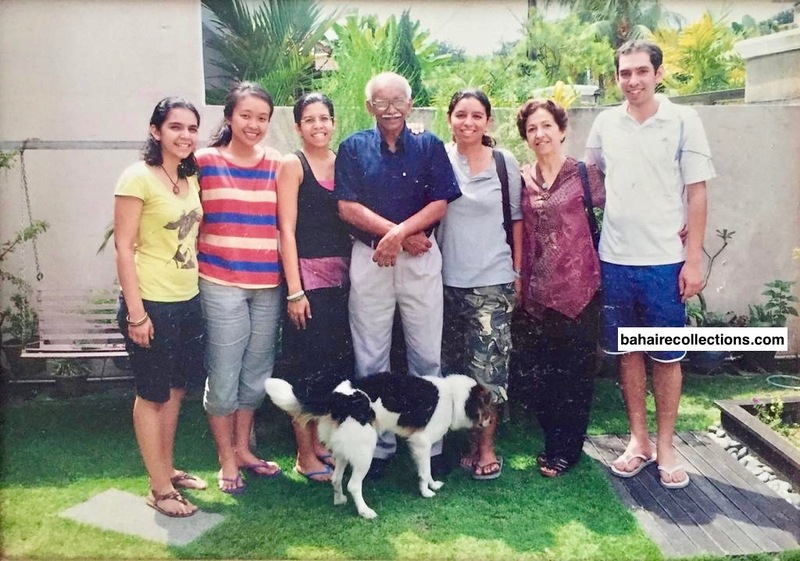 We had the bounty of having uncle Ravi in our midst in Subang Jaya community. He was our tutor, mentor, great exemplary in accompanying the friends in the teaching field. He was always at the forefront in outreaching and guiding the friends towards a path of service. 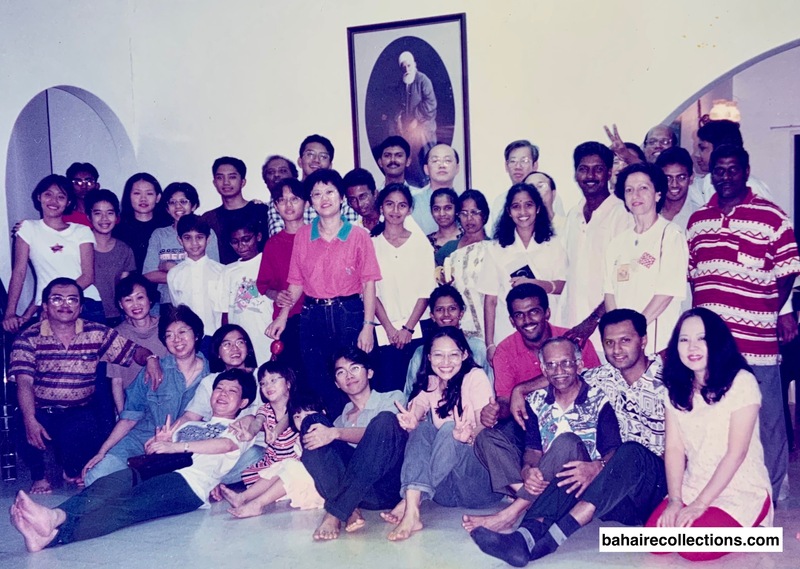 In the late 1980s and early 1990s uncle Ravi was assisting the Kuala Terengganu friends to establish new Bahai communities in Besut. He was such a gem and will be missed by all who crossed his path. First and foremost I wish to thank you for the hard work and dedication by which you have narrated the life and legacy of Mr Ravichandran. 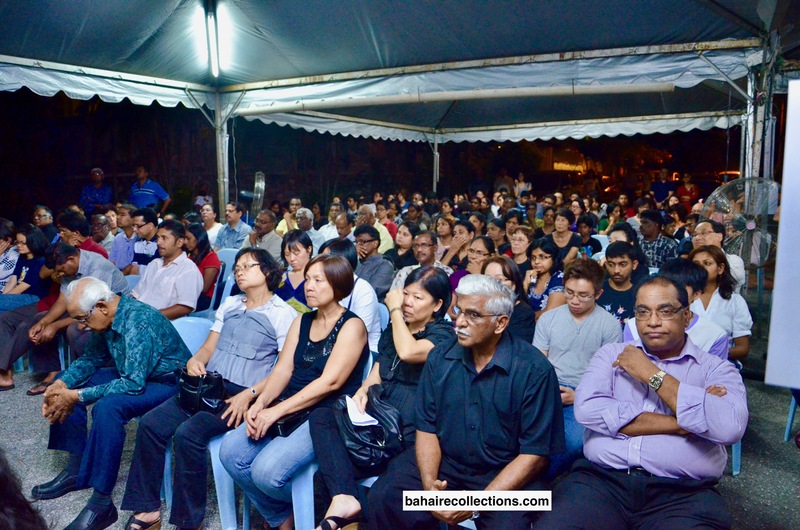 The story must have certainly moved the hearts of all Malaysian friends and believers abroad. You have truly unearthed so much details of the life of a precious, kind, gentle and a humble soul. Reading your story brings him back to life. I just cannot believe he is no more. I consider myself fortunate and privilege to have known Ravi. 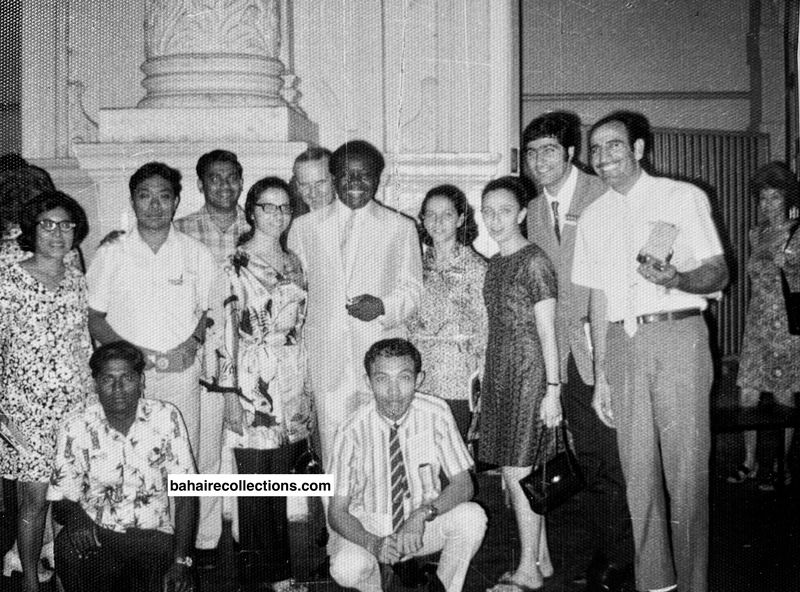 At the Bahai Summer School in 1971 we the Seremban Bahia’s had a good time with him as we mingled around. 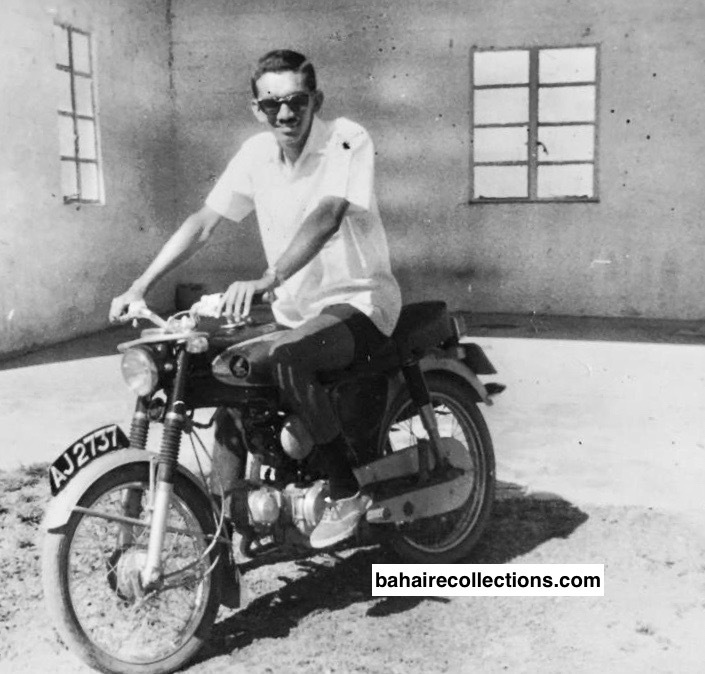 May Baha‘u’llah give you lot of inspiration to continue writing in your usual great detailed style, added with authenticity and accuracy the life stories of several other great workers who are no more with us. The future generations need to be proud of them who have made our history proud. Reading the story of our beloved S. Ravichandran or Uncle Ravi as he was known to us brought back so many sweet and lovely memories of this gentle, devoted and ardent soul. We had the privilege of having him live in our home on a few occasions when he was working. He truly was the most lovable uncle you could imagine. I have so many fond stories of growing up with him in our house. He was always helping around the house and I recall that as a child I was amazed at how he fixed our flip open telephone directory with a bit of glue and sponge! 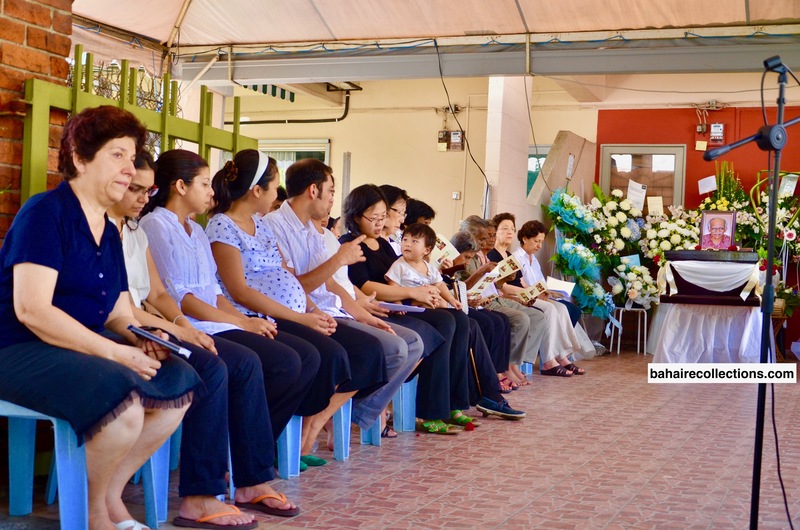 He would also sit us children down together to say prayers and I remember he taught us that after we had finished saying our prayers, we must remain in silent contemplation for a while and not move away immediately, “keeping your mind blank” as he said. I also remember he was allergic to seafood, so my mum would always get some chicken or cook a meat dish for him. 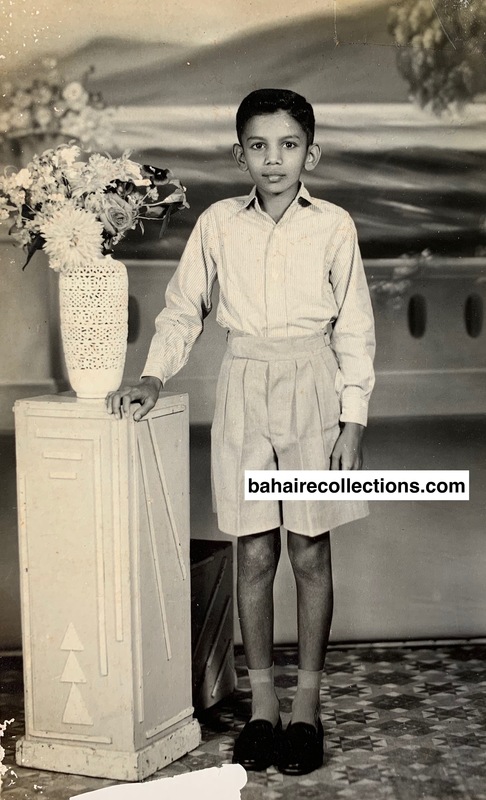 As my father was often away, Uncle Ravi would drive us around for our piano classes, tuition classes and occasionally to school. All the children would be chatting away happily and he would just listen quietly and every now and then make a comment or laugh at something we said. I also remember him trying to keep our childish conversations more spiritual as he would refer to Abdu’l-Baha or raise a Baha’i point every now and then. Once he became angry when my brother Mehran used a Malay bad word which he innocently said has he did not know what it meant. Uncle Ravi told him, don’t use words you don’t understand. He loved taking photos and I am sure many of our childhood photos were from his camera. One day he came home from work without his car and told me he had had an accident and then he showed me a deep gash on his ankle. I believe that was the end of his car! I also remember him taking us to his sister’s house to visit and he made us each have one thosai. He enjoyed sports and would be glued to the TV with my father and family especially for the Thomas Cup. Later, when he returned from England, he also enjoyed cricket. My father inherited a Honda 60 cc which he promptly lent to Uncle Ravi who used it until he managed to buy his own car. As we got older our friendship with him matured accordingly and he would always embrace us and speak so lovingly to us. My brother would say whenever we saw him, everyone beg for forgiveness from Uncle Ravi and try to touch his feet and he would spring away laughing in amusement. He always had a special place in our hearts as I am sure we did in his. I remember him speaking in his quiet way at many a meeting and gathering making deep thought provoking points. I also remember his tutoring of Ruhi classes and how he would make us go through every word of the Holy Writings. I was in Perth and had just caught up with his daughter Nosrat when the shocking call came that Uncle Ravi had passed away. I was filled with so much sadness but took comfort in that dearly loved Uncle Ravi was in a better place to serve humanity. We had a memorial for him in Perth as he had relatives here from Aunty Nargis’ side of the family. Uncle Ravi was a small man, skinny till the end of his life. But he was a true Swamiji – a kind, sweet and gentle person who became a giant. I still think of him often and I am sure he too is watching out and assisting us, his beloved Baha’is, from the worlds beyond. What a lifetime of consecrated service to the Faith of Baha’u’llah! And in his services to the community there are too many to enumerate! Ravi has certainly left a rich legacy for his generation and future generations to come. At the recent Yerrinbool summer school I met a friend who was relating a story of the time he pioneered to Bangladesh years ago. Dr Muhajir, on a visit to that community, had said how much he admired and loved the friends in Malaysia, and their outstanding services everywhere. Ravi undoubtedly would be among the forefront of those servants! He will always remain in our hearts and our thoughts. God bless him forever. 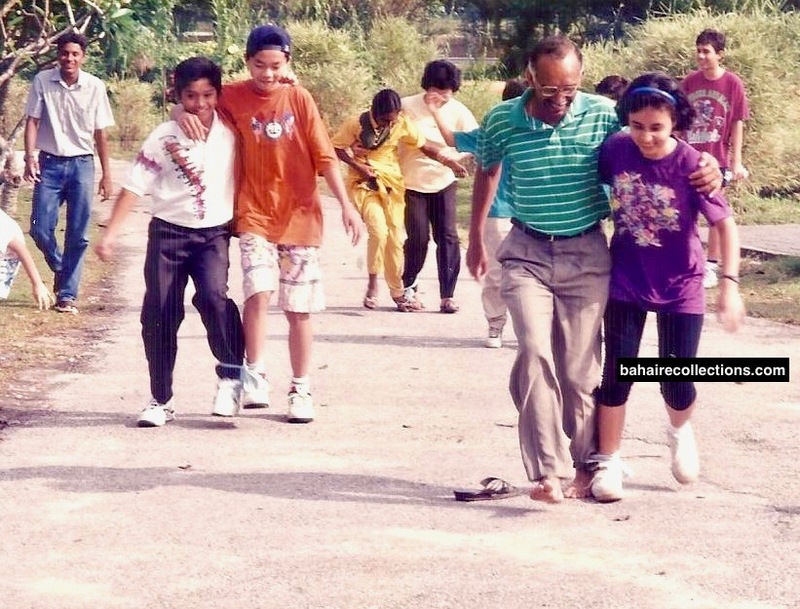 Ravi was a dear and precious soul, and absolutely dedicated to the Baha’i cause. Much love to all his family. That was a very detailed account and heart rending narrative of a soul who dedicated his service for the Faith. 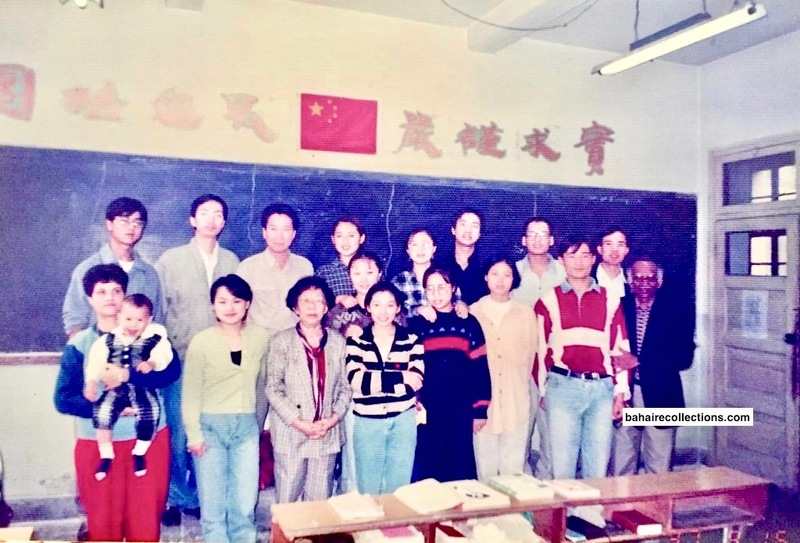 I was not very involved with him in activities, but would meet and converse with him in activities of the National Teaching Committee of which he was a member, National Conventions, Summer Schools and Winter Schools. My only regret is that his death was untimely. 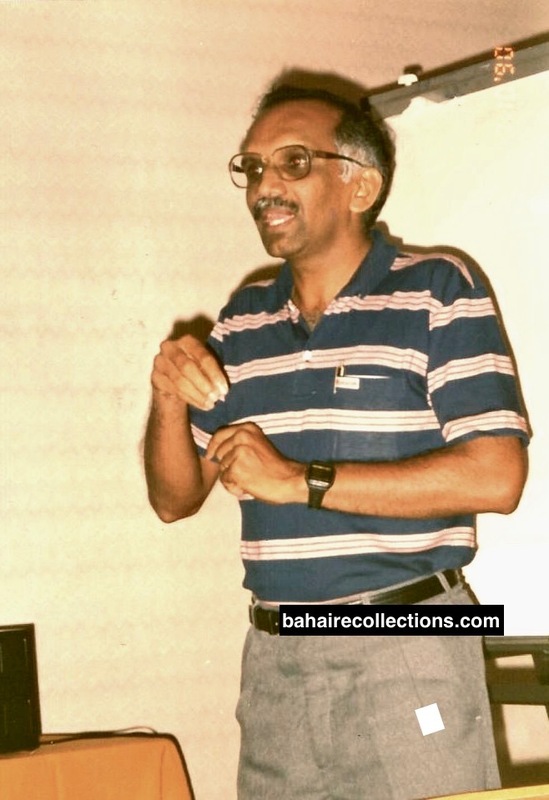 I had the privilege of serving with Ravi for many years in the Local Spiritual Assembly of Petaling Jaya and Subang Jaya between 1985-2003. He was either the chairman or the vice chairman alternating between Thanabalan and himself, with myself as the secretary. He knew a heavy responsibility comes with the secretary of these two premier communities, and I was very busy with my career and business. Often times when I was away outstation, he would help me out in the minutes of meeting and would write it out in his own handwriting as he was not the one to type it out and announce its decisions to the community on my behalf. I must admit he made a good secretary too besides been the chairman. This made me buckle up my duties. He was never harsh, but always gentle and patient, never taking”No” for an answer. In short he was an excellent boss ! He was undoubtedly an Institutional man, master of the Institute Process, promulgator of it’s growth and continual activities till his untimely passing. There will never be anyone like Ravijan. My dear Mani, once again you have proved your great talent in your writing ability when you wrote about our dear Ravichandran on your popular blog. I really enjoyed reading the write up on dear Ravi. In fact I enjoy reading all your chronicles about the lives of the wonderful Bahais who had walked on this earth. But the chronicle on the life of Ravi touched my heart the most because besides my dear husband, Inbum, Ravi was closest to me. I nearly cried a few times as I was reading the write up on the life of Ravi. After reading the write up on dear Ravi, I wrote to Nargis and told her that she and I are truly blessed and so lucky to have married two of the finest people on earth. I loved Ravi like a brother, in fact more than a brother. You have given good coverage of the days Ravi stayed with us where all my four kids would run to him if they had any problem. It was always to Ravi that they sought advice and help for their teenage problems as their true uncle. With your write up, now more people will be able to understand what kind of a man Ravi was. Ravi has left a beautiful legacy for his family and friends like us. Mani dear, I can’t thank you enough for your awesome write up on dear Ravi. You always take extra pain in getting all the details whenever you write, with a coat of authenticity with dates and places supported by rare photographs and good captions.And you have truly developed a unique skill and style in writing about those who are no more with us. You bring them to life through the ability of your pen. You do possess a rare talent that only God could bestow on anyone. I read the story on Mr. Ravi with great interest. From the story I understand that Ravi was a faithful family man and also one who had kept the Faith in the centre of his life. The story is indeed beautifully written. 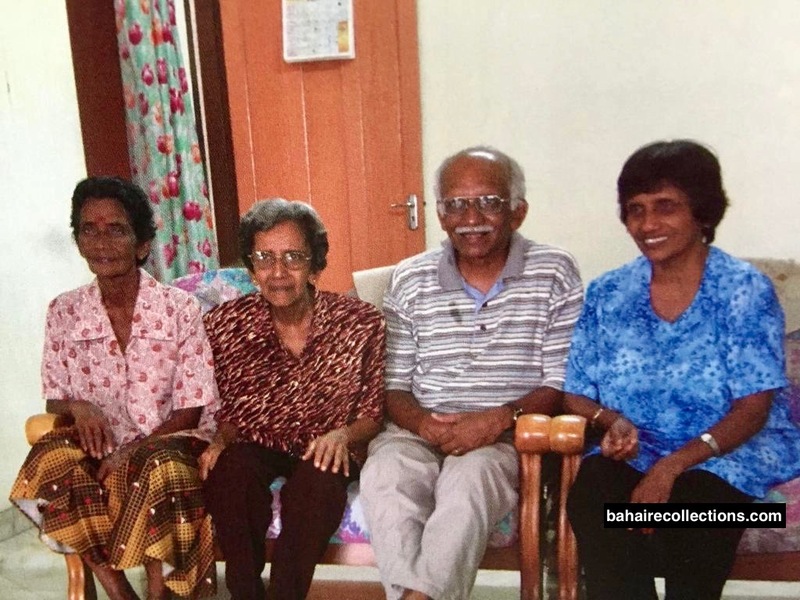 Thank you brother Mani for sharing all these stories which give us an insight into the sacrificial services of the early believers, and the way they served the Cause of Baha’u’llah. I always look forward to getting your stories. Each time I get notification, I feel like getting a wrapper containing sweets. And each wrapper contains sweets with better flavour than the previous ones. The choice of your words, the flow of your narration and selection of meaningful episodes simply add strength to the unique way in which you present your stories. A well written article which describes the personality, spirit and the soul of Ravi.Thank you Manisegaran. 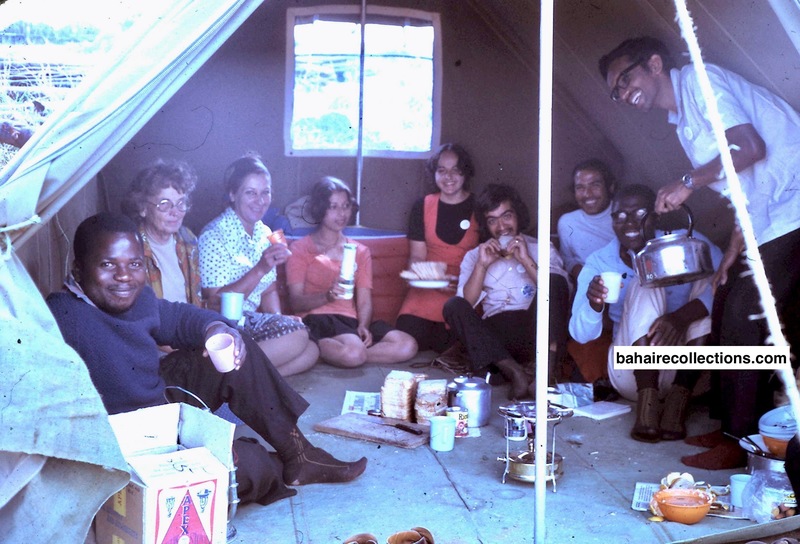 A Bahai at all times and in whatever circumstances…… We had the beautiful time together serving in the National Co-ordinating committee ( 1970-72) and every week-end without fail visiting the communities and friends. Ravi left his mark and everyone was full of love and praises after his visits. 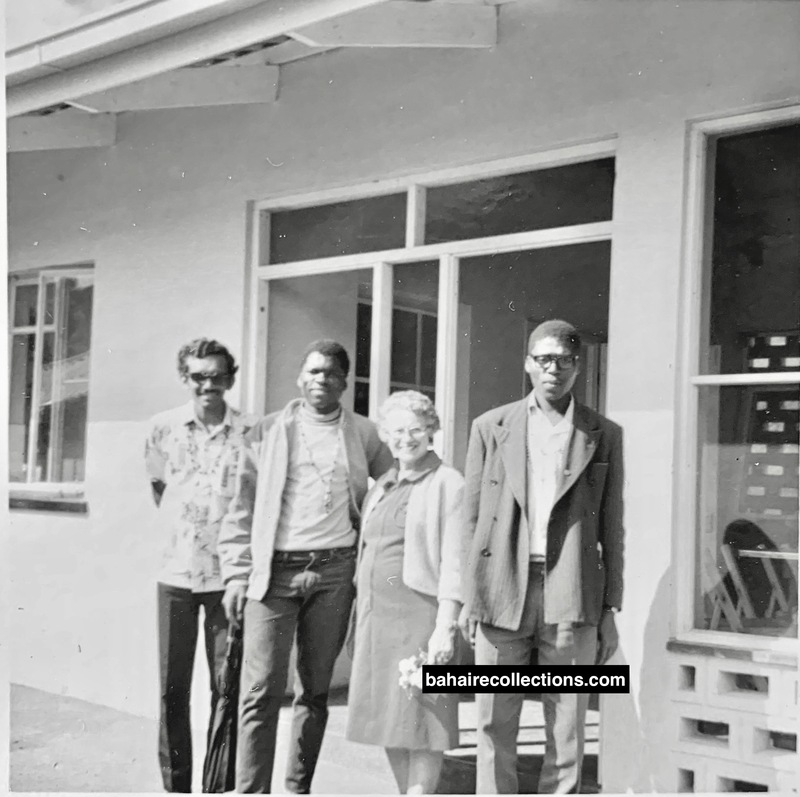 At the 1971 Oceanic Conference in Singapore, using his experience, Ravi tele-connected Singapore to the Oceanic Conference in Liberia and our beloved Hand of the Cause Mr.Olinga conveyed the spirit of the Singapore Conference to the conference in Liberia. 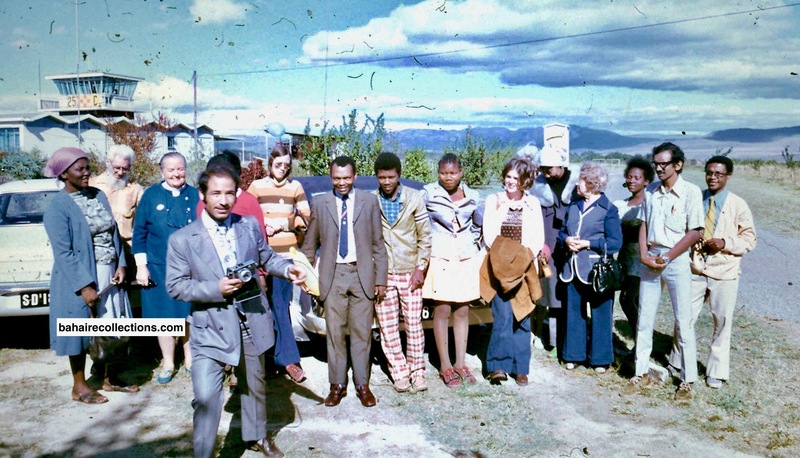 Later Ravi and 5 others we went to Africa for pioneering. We met again in the UK and every visit to KL was not complete without meeting the Ravichandrans. 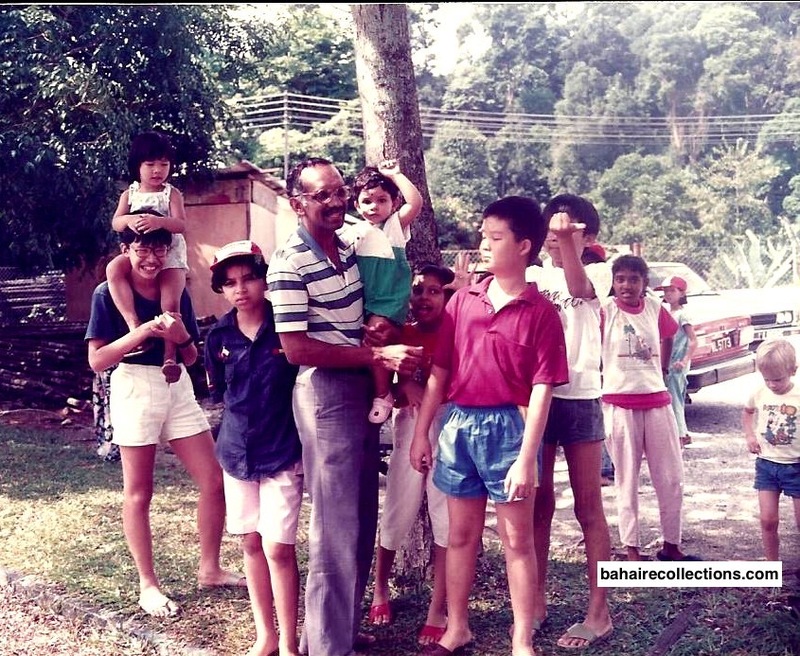 Thank you for transporting me to the time I was with Ravi in the Kuala Lumpur community. 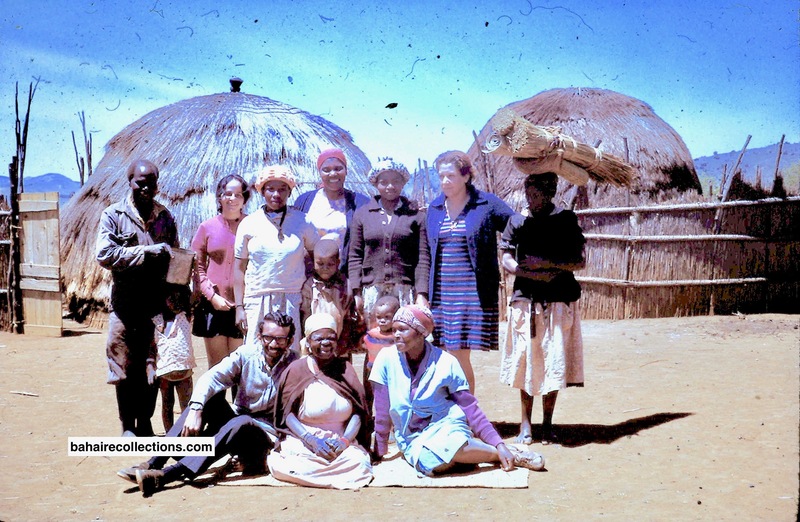 It was in 1970, that I was travel-teaching in Asli areas in Perak and Pahang. The National Haziratul Quds in Setapak was our base. I stayed there with the other staff. There was daily a buzz of activities at the National Bahai Centre. It was routine for Baha’is to gather in the evnings after work and Ravi will be present there to perform various committee work. Ravi’s cheerfulness will enliven the environment with his soft spoken humor. At times he will interject in the Tamil language with his Ceylonese slang. That would trigger laughter. We affectionately call him as “Appu”. Ravi was such a fine human gem easy to get along. He was always cheerful with a radiant face and ever willing to help. Ravi was an outstanding example of simplicity, humility and radiance. He could never hide anything. I have never known of a time when Ravi was out of sight for any reason whatsoever. He lived his exemplary Bahai life from day one till the end. His radiant spirit can never be forgotten. I read your story on the beloved uncle Ravi. Coming from the same community I worked with this dedicated soul for a few years and attended several Ruhi classes in Subang Jaya. I remember talking to uncle Ravi on the 9 June at the 30th day prayer session for the late Kasturi. As you have mentioned, uncle Ravi was looked very tired and was not his usual. What a shock. The very next day we received the news about his passing. It took a very long time for many of us to overcome that irreparable and irreplaceable loss. It was really wonderful that you have done justice to the remembrance of this wonderful and dedicated soul through your detailed write up. May God give you good health to enable you to keep writing on those who had left indelible traces in our hearts. While going through the story of Mr. Ravichandran, I was very much impressed by his several virtues such his exemplary life, spirit, loving nature, humility, sacrifice, honesty, truthfulness, trustworthiness etc. The story of Mr. Ravichandran emphasizes the need to develop such virtues. I do not know Mr. Ravichandran personally, but his story has been a good of inspiration my and certainly for all of us. 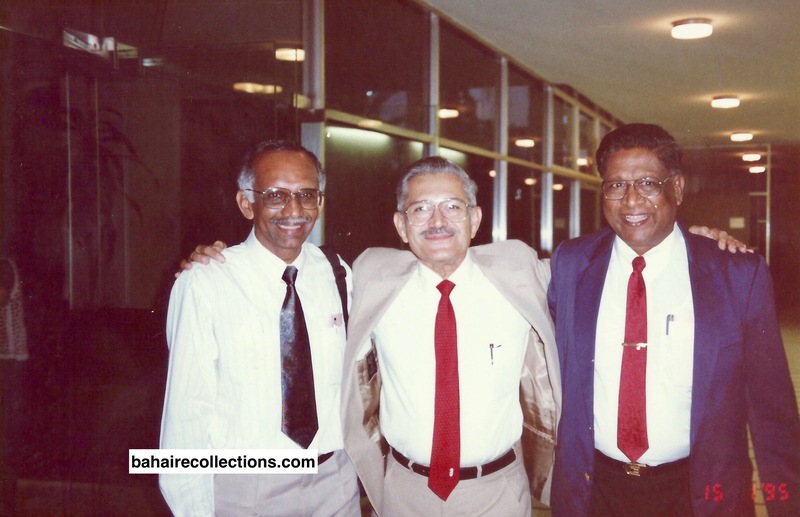 Thanks again Mr Manisegaran for sharing of recollections of another stalwart of the Faith, Mr. Ravichandran of Malaysia giving us an insight of his tireless and dedicated services to the Faith. I was very emotionally touched by reaching the recollection of the wonderful soul. He is a true example of a simple, humble and dedicated person. He was a very soft-spoken person. 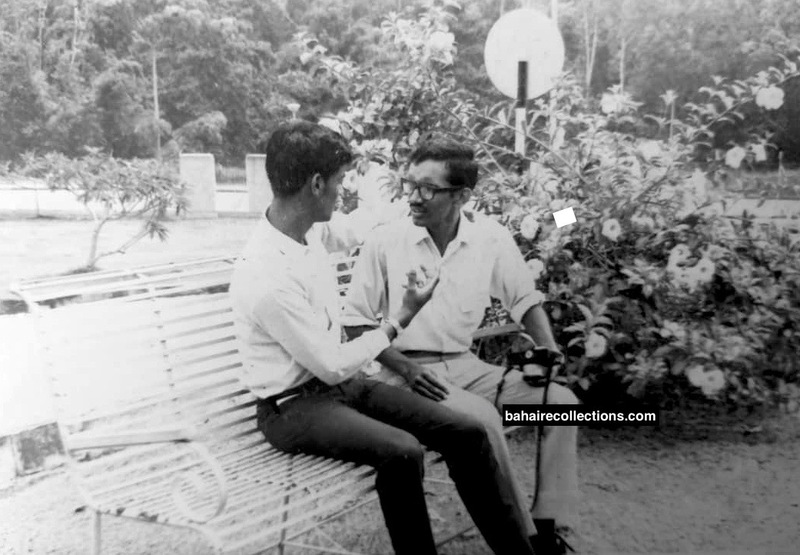 The first time I met him was in 1968 during the First South East Asian Regional Youth Conference at the Malayan Teacher Training College in Kuala Lumpur. If I am not mistaken, six of us from Jasin hitched hiked to Kuala Lumpur for the conference. We were students at that time, and we did not have a place to stay in Kuala Lumpur. Some of the participants of the conference were students, including Ravi, from the Kuala Lumpur Technical Collage. These students from the Kuala Lumpur Technical Collage very discreetly brought us to stay at their hostel rooms. I happen to be staying in Ravichandran’s room. Ravi used to come to Sandakan for inspection of the construction of the palm oil at the Sapi Plantation (now Wilmar group of plantations). 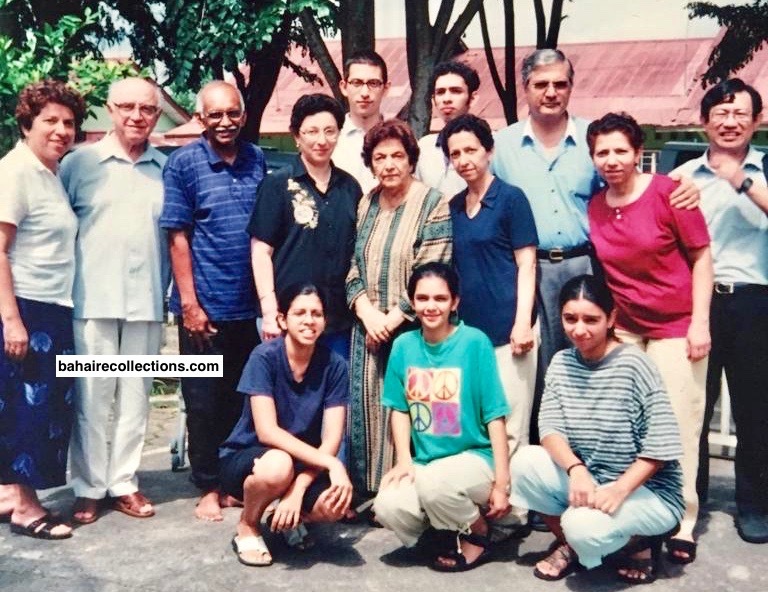 Every time when he was in Sandakan, he would make meet up with the Baha’i friends here for deepening sessions or sharing of latest development of the Faith in Peninsula Malaysia. 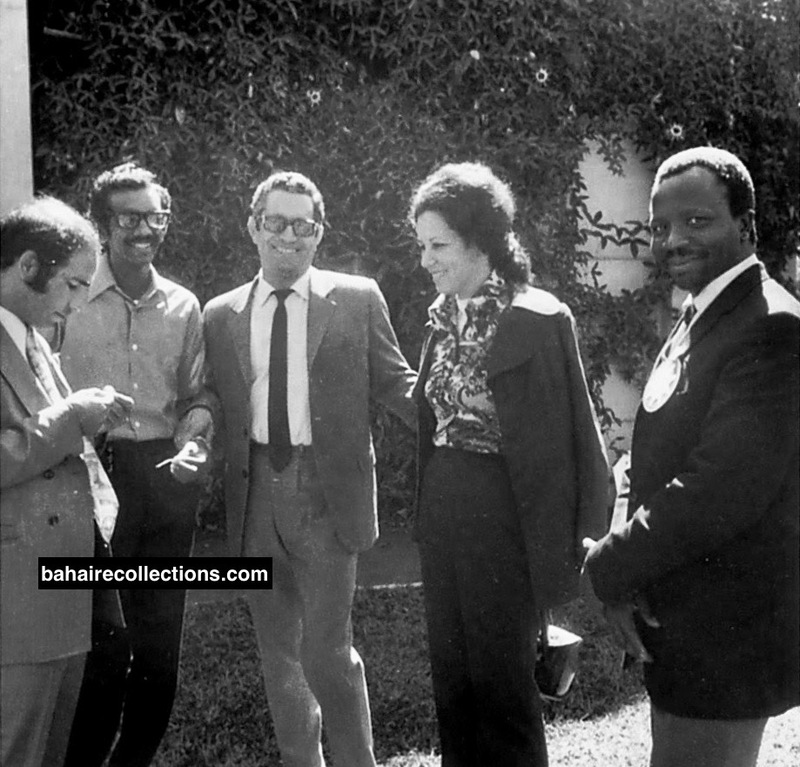 Such was his enthusiasm in meeting Baha’is wherever he went. I remember once the Auxiliary Board Members from Sabah were going for a training session in Ipoh. He offered us accommodation at his residence and drove us to and from to Ipoh for the training session. In Sabah we were also privileged to have his two wonderful daughters serving the Faith from 2001 to 2006. They were a reflection of the qualities of our beloved Ravichandran. May Baha’u’llah’s blessings be upon him in the Abha Kingdom.